As well as new-build properties, we also design and manage major renovations and modernisations of existing buildings. These projects are perhaps more varied, and can take a number of different forms. 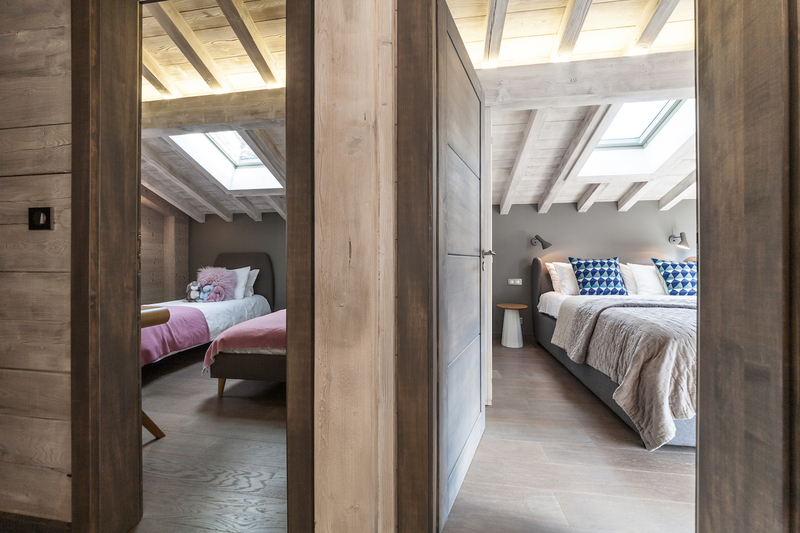 Sometimes we get to breathe new life into a period property, a centuries-old Savoyard farmhouse, a cosy rustic alpine barn, or lovely stone-built town-house. We adore these houses; they showcases the original architecture of the area that we love, and in which we live and work. When we are approached regarding a renovation of such a property we treat the heritage of the building very seriously. These are often large projects requiring significant work, encompassing structural contraints and solutions as well as planning restrictions. 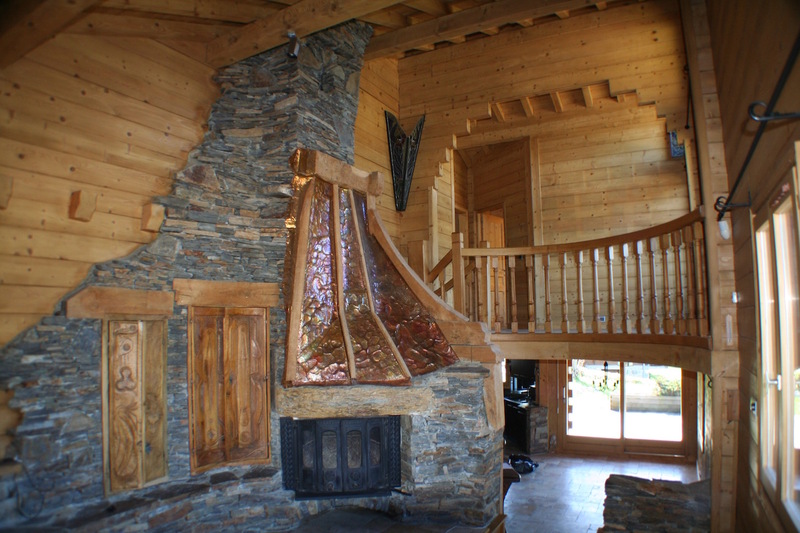 We use local tradespeople, mostly long-established local companies who understand the region’s architectural vernacular and can build using traditional techniques and materials. One of the challenges and rewards is to use traditional building techniques, whist at the same time have an opportunity to be creative with contemporary architecture and interior detailing, and to integrate efficient services. The traditional and contemporary in careful balance results in a fabulous property, suited to modern living whilst respecting the heritage and environment in which it sits. More often we get asked to redesign and modernise dated mid-to-late 20th century chalets. There are many of these properties in and around most ski resorts, and buyers are drawn to them – not for the charm of the property itself, but because they are often in excellent locations, have wonderful views, or extensive land – elements that are hard to find in new chalet builds (or come at too high a price). 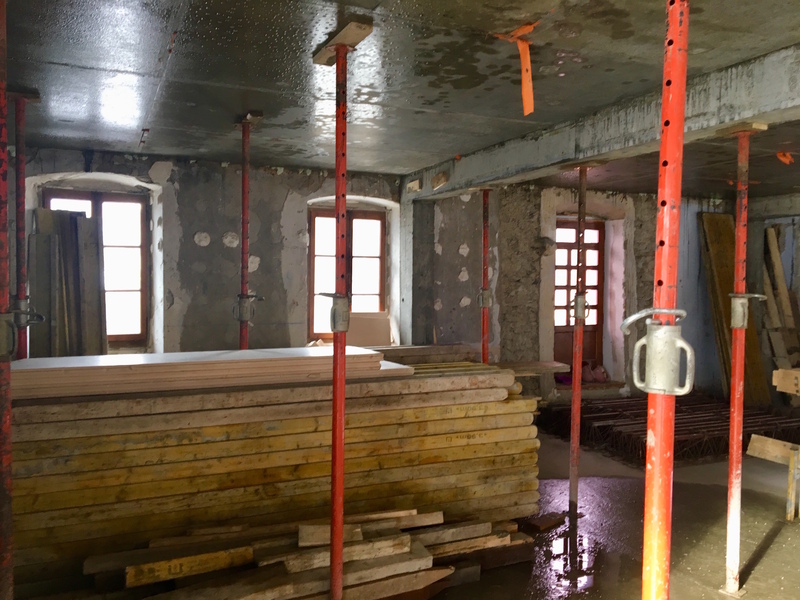 This is a very satisfying type of project on which to work, as the client usually requires a complete redesign of the property; and with little in the way of original features, we have an opportunity to be creative and look at the building in a completely new way. For example, on one of our previous projects, we were able to strip-out, remodel and transform a sombre 80’s chalet, and give it a fresh Scandinavian flavour that the clients love, with a cool white and grey colour palette. 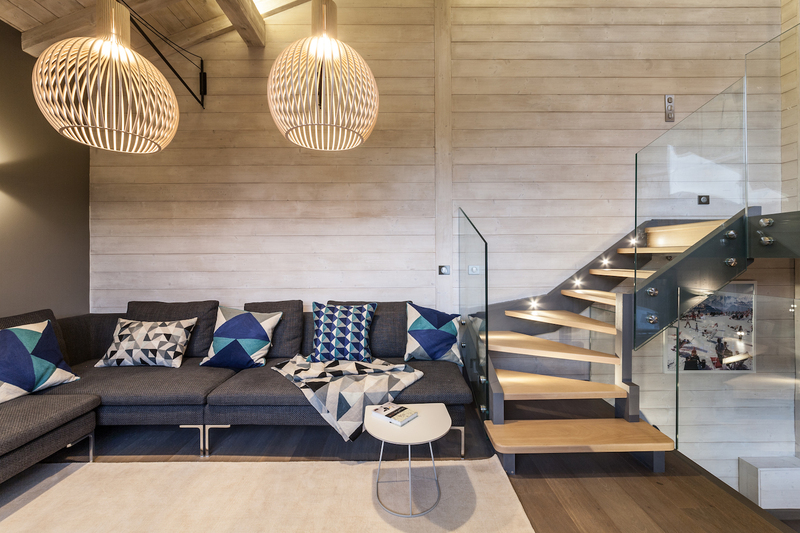 The renovation included moving walls to enlarge rooms, new staircases, plumbing and wiring throughout, and the total redevelopment of the lower level of the chalet – along with the scandi colour scheme replacing the “orange” wooden tongue & groove cladding. It is now completely unrecognisable! We love the challenge of this type of project – in addition to the opportunity it provides to create a beautiful, contemporary home from an uninspiring shell, we are working with an existing building, and navigating with and around these constraints gives a great sense of achievement. 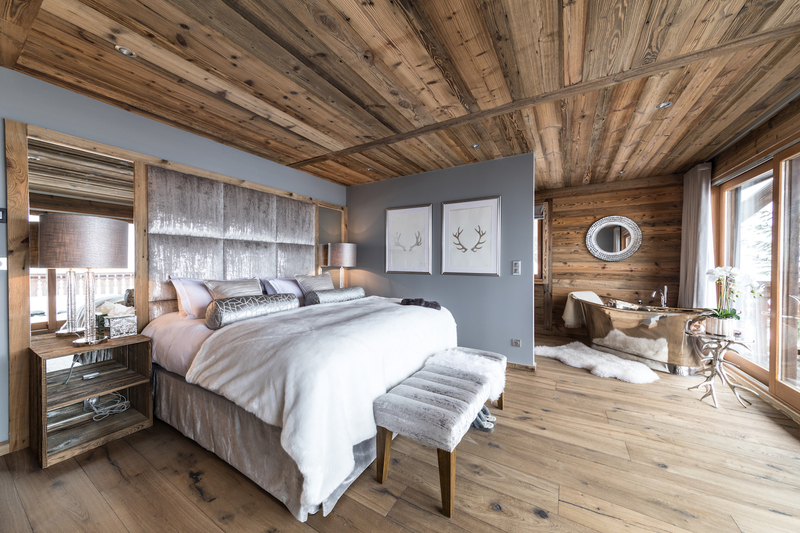 Finally, a chalet renovation can enable the personalisation of a property to provide the facilities and style reflecting the needs and wishes of our clients. 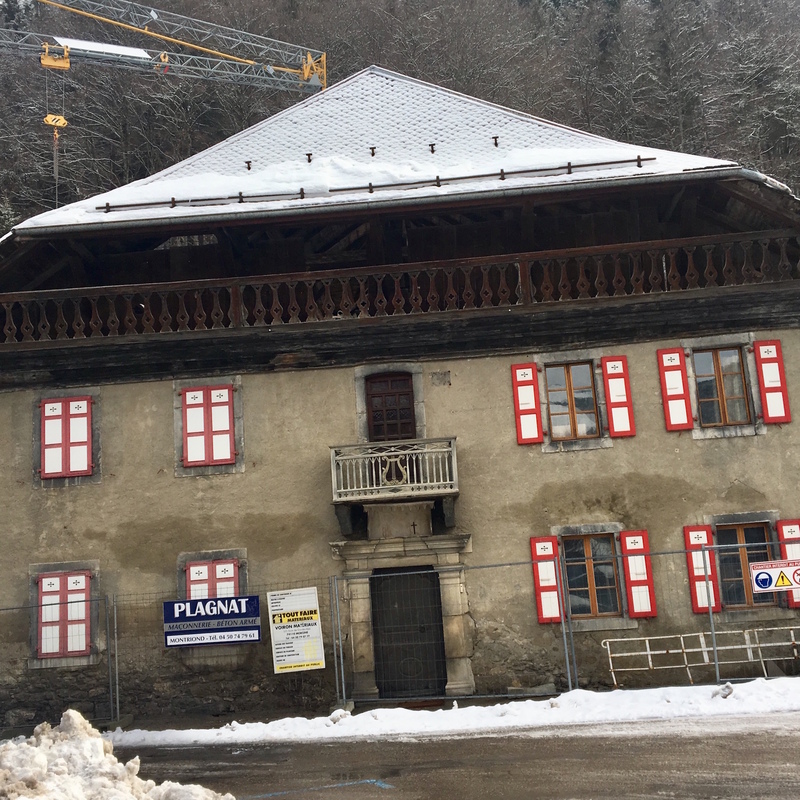 The owner may either purchase with a view to transforming the building immediately, or live in the chalet for some time before deciding that it does not suit their needs – either in terms of the layout and facilities, or if the style of the property no longer reflects their taste. 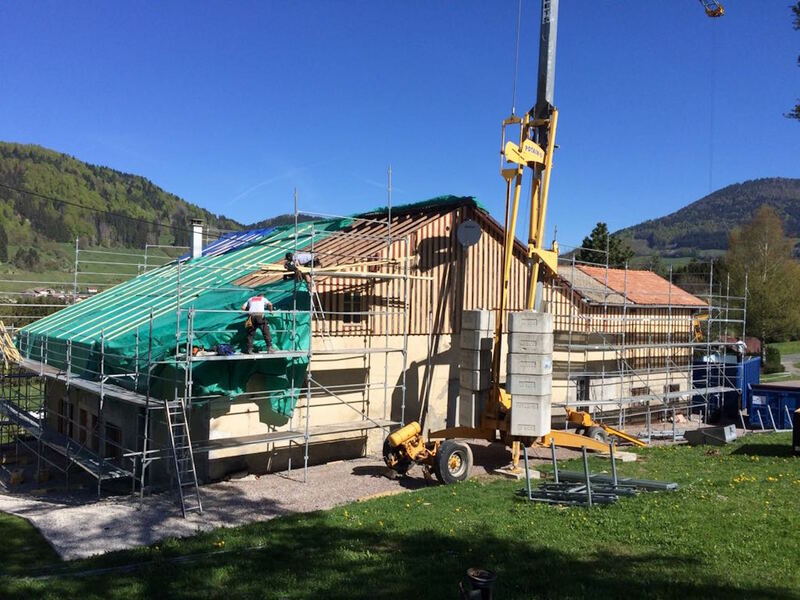 This can include structural work such as extending the existing property and/or creating additional living space within the chalet structure (such as converting the basement of the building or creating a new mezzanine level). 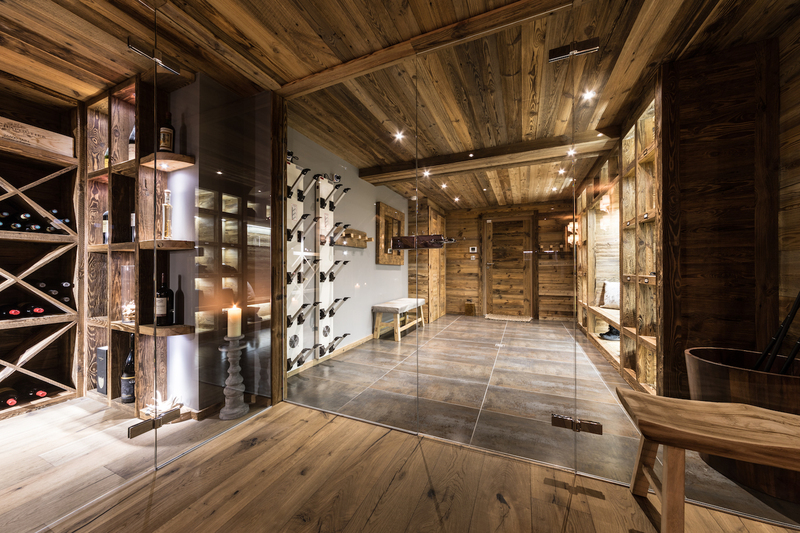 Facilities such as extra bedrooms/bathrooms, a boot room, a wine cave or spa facilities are frequent requests as chalets become more luxurious. There is a strong trend for more open-plan living nowadays and so we usually design a large main level of the chalet with kitchen, breakfast bar, salon and dining areas all interlinked, often opening onto the balcony or garden. Bedrooms and en-suite bathrooms are also often upgraded, with sumptuous walk-in showers and roll-top baths in one or two bedrooms. 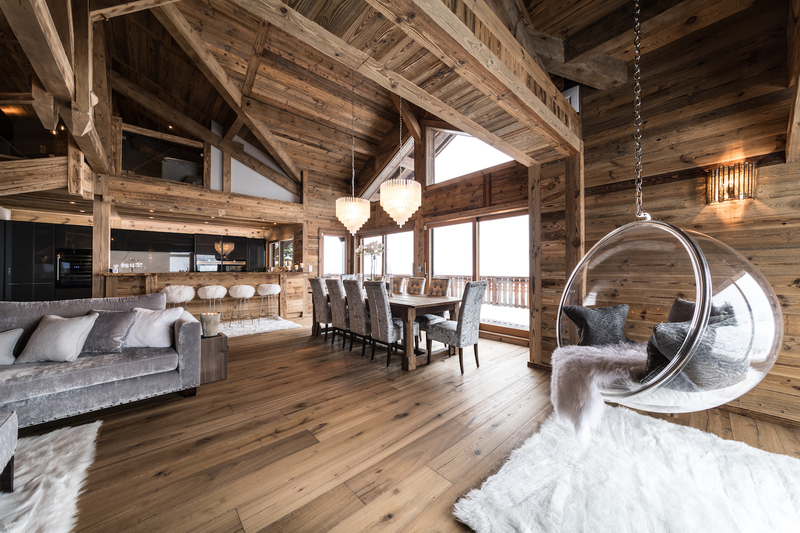 We also spend considerable time updating the chalet finishes, floors changed to either large-format tiles in contemporary hues, or hardwood parquet floors. Underfloor heating is often installed as part of this process, replacing old radiators to improve comfort. We generally freshen up the wall finishes, taking the opportunity to overhaul the electrical layout to include more convenience sockets, USB faceplates, integrated A/V and I.T. facilities and layered lighting schemes. The Alps have many different types of properties, and we love working on them all. Bringing authentic farmhouses and older chalets back to life using traditional techniques and respecting the patrimoine of the property – whilst introducing the contemporary requirements of our clients. Modernising and personalising these buildings and transforming them into vibrant, desirable alpine properties is extremely satisfying. We are privileged to live and work in this area, and love the creative opportunities that the Alps provide!